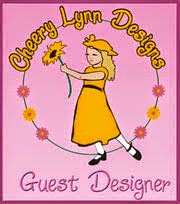 Welcome, Nancy Hill for the Frantic Stamper Design Team. 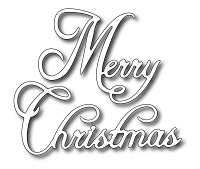 Now is the perfect time to get started on those Christmas cards. I had so much fun making this Christmas card from the new released 2017 Frantic Stamper October - Christmas and Winter gorgeous coordinating dies and stamp sets. 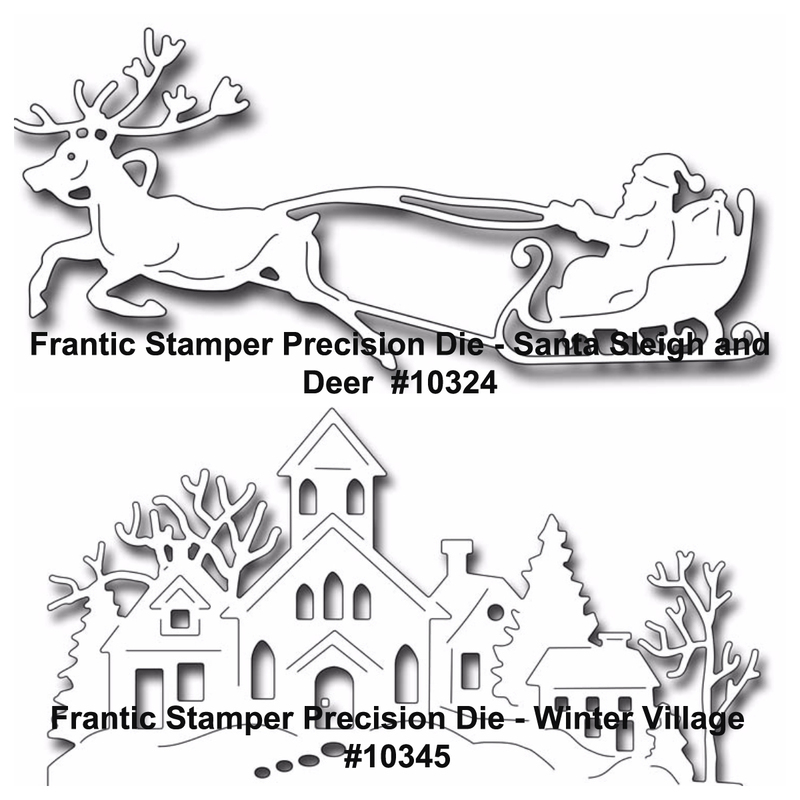 I cut out the Frantic Stamper Die-Santa Sleigh and Deer die with silver metallic cardstock. Cut out a 5" x 5" white/gold shimmer cardstock. 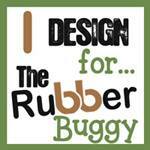 Cut out a 3" circle and used the hole of the paper to sponge on blue ink. 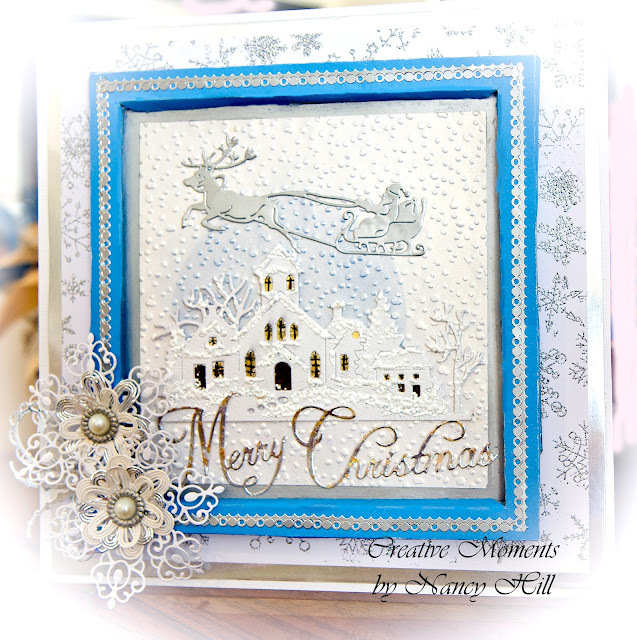 Embossed the cardstock with Sue Wilson Falling Snow embossing folder. Cut out the Frantic Stamper Die-Winter Village and small pieces of gold metallic cardstock and glued the pieces to the back of the die of the windows and doors. I used a fine point black pen to add square frames on the front of the windows. 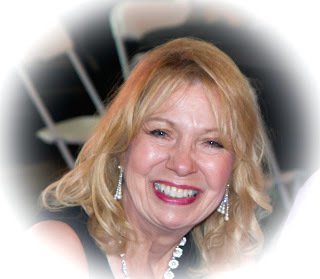 6 1/2" square silver metallic cardstock and 7" white/gold shimmer cardstock and glue together. 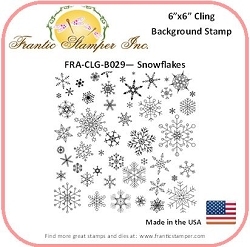 Glue the blue frame with the images on the embossed snowflake background. I added the Heartfelt Creations Arianna Lace die and Sue Wilson Finishing Touches String flowers on the corner of the frame with an American Craft pearl brad. 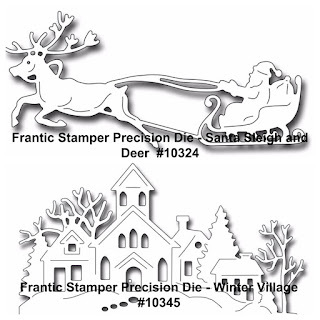 Now is your turn to use your imagination and creativity to design your own Christmas card using the Frantic Stamper Christmas/Winter coordinating dies and stamps from Frantic Stamper on-line store.